Help our library to grow by sponsoring a new book! Are you looking for a special way to celebrate a happy occasion or to honor an important person? The Louis Family Library’s Bouquet of Books program provides just that opportunity. To participate, simply choose your book from the list of available titles and make and $18 (tax deductible) donation to the TBI Library Fund. View the list of books available for sponsorship and choose your book. This can be a large PDF File. Print out the Donation Form and mail or bring it to the TBI office along with a check payable to TBI with the notation “Library Special Fund”. If you prefer to submit your payment online, you may do so HERE. Questions? Contact Debbie Klein or by phoning the TBI office. 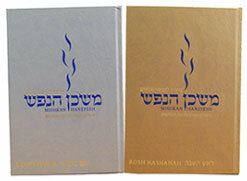 PURCHASE your High Holy Days Prayer book. Be sure to check out and tell your friends about TBI’s rental business, The Community Space. We offer low cost spaces for rent to parties of all backgrounds, and would love for you and your friends to use them! The Community Space can be used for board and group meetings, team gatherings, art exhibitions, educational purposes, birthdays, special events, holiday parties, B’nei Mitzvah, and various other events. Because TBI supports contributing to its own future and preventing the irretrievable loss of an important asset, the TBI Archive Committee has been established to take steps now and in the years ahead to appraise, catalog, organize, digitize, and process historical and current records and/or artifacts. This will arrest, where possible, the physical deterioration that threatens the integrity of these records. Many people hold on to mementos throughout their lives, but few of them keep the records in conditions that ensure survival. The TBI Archive can help preserve your documents, photographs, and media. If you have questions or want to make donations, please call (909) 626-1277 or email, volunteercomputertbip@gmail.com. 1. Store documents in cool and dry place with stable temperature and humidity. Ideal temperature is 68 F and humidity is 40% (give or take couple degrees and percentages). Light is damaging to photographs, paper, and disks, so limit light exposure. 2. Keep like items together. Chemicals from one type of paper can be absorbed by other types and cause deterioration. Newsprint is acidic and unstable. It is better to photocopy clippings onto acid-free paper, or bring the documents into the TBI Archive and have us scan them. a. Make sure the enclosure you choose can support what you are storing. b. Do not use conventional cardboard; it contains chemicals harmful to materials. Acid-free boxes and folders are available from many different sources on the Internet. They are not inexpensive but they will save documents for future generations. c. Boxes should be sized according to what you want to store. Remember to enjoy your memories! Just because an object or document is old, does not mean you can’t look at it or handle it. Take time to share the memories with your family members, or consider donating to the TBI Archive. Read weekly letters from Leah below, and please visit our blog to see and read more about the activities in our program. Why do we read Torah on Shabbat? Why is the Torah the center of what we do at the Saturday service? Why is it featured so prominently in our Beit Sefer curricula? Growing up and studying Torah as a puzzle in a logical and methodical way was interesting. But, I felt like I was a witness to something that happened outside of me, separate from me. Torah was interesting to encounter, when a good teacher talked about it. It wasn’t something for me to do myself. It was later as an adult when I was teaching Hebrew school and tutoring for B’nei Mitzvah that I encountered Rabbis and synagogues that had a different approach to studying Torah. Through my work with those leaders in those settings, my relationship to Torah shifted from being something apart from myself to feeling that I was a part of the tradition and more importantly, I was teaching that tradition of interpretation to my students. Since then, it has been important to me to work with students to feel that the process of studying Torah includes them, that the tradition invites them to take ownership and make Torah personal, and that we can connect with words that are thousands of years old. I have recently recommitted to this part of our curriculum and to putting Jewish text study at the center of our community and learning. As part of this effort, I have been doing more of my own study, including the parashah drashes that you have seen in this space. I have modeled teaching for our teachers and am working with the teachers and madrichim to enliven this aspect of our curriculum. Inevitably, our students will not remember the many stories, characters, and all the information we give them at Beit Sefer; but they can learn how to pick up a text, how to read it, reflect upon it, connect to it, and find insight and meaning in it. As they learn this, they become part of the tradition, and part of the ever-changing nature of Torah study. I look forward to the day when our students are presenting their insight and interpretation about the parashah on these pages. I think that Torah is at the center of our observance because it is the tradition of Torah study and Jewish text study that gives us a way of simultaneously connecting with the past, present, and future while exploring the meaning of life. When I was a young girl, I lived in a community that did not provide a full Jewish education for young women or the opportunity to become bat mitzvah. So I pursued Jewish learning on my own. As I grew more mature, I continued that search. If there was a class available – I attended it, always trying to find my place. It wasn’t until I moved to California and joined University Synagogue that I found a home. I made up my mind to become bat mitzvah as an adult and in March 1993, I did! But it didn’t stop there. Although it took me a long time to decide whether or not to enter rabbinic school, when I finally “signed up” I knew it was the right decision. Though I always loved being Jewish, it wasn’t until I started at AJRCA that I really fell “in love” with Judaism. That love is what I hope to convey to the students in our Beit Sefer. As I integrate that love into my work at TBI, I look forward to involving parents and families right from the start as we develop ways to ensure our students are excited about coming to Beit Sefer and come to see it as a place to explore their own feelings about our faith and traditions and gain insight into our rich heritage. TBI Preschool has maintained a strong foundation of developmental learning in a nurturing environment for all children. The special dimension of being a Jewish preschool enables us to incorporate Jewish traditions, celebrations and experiences into our general programming. Our young children’s preschool experiences are enhanced by this extra dimension. We’ve even had a number of preschool parents who are clergy and chaplains of other faiths who choose to have their children attend TBI Preschool, with appreciation of the values that we try to introduce and share with the children. We have often heard the adage “All people smile in the same language.” This universal expression is regularly experienced at Temple Beth Israel Preschool. Young children often begin school with little language or without the clarity of language. It also happens that we have young children who begin preschool without even knowing English. 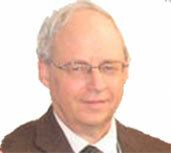 Their native language could be Hebrew, Russian, Spanish, Chinese, or Farsi, among others. In all these instances, the communication that teachers initially rely on is body language, gestures, holding hands, a kind tone of voice, guidance, and above all, a smile on a friendly face. This is what comforts a child and helps them feel safe in a brand new environment. The language then develops, meaningful communication emerges, and with time we often forget the absence of spoken language when the school year began. Language acquisition happens regularly at TBI Preschool, as new children enter our program and as children who have been in the program continue to grow. It is in a safe, secure environment that a child’s learning flourishes and the child blossoms. Our wonderful preschool staff gets to witness this on a daily basis, and we welcome volunteers at TBI Preschool to help us facilitate our program. There are only a few requirements for volunteers. They include being 18 years of age and older, having patience, the physical ability to move around with young children, a few hours a week and, of course, a smile. Please contact the Preschool Office, 909-626-6937 or send us an email, if you’d like some more information about volunteering. I’d be happy to have you visit our program and see what area you’d like to help in. Membership recruitment and retention are the lifeblood of our congregation, and an executive director is often the first public face to potential members, financially distressed or disgruntled members, and the external community. An executive director attends and participates in the monthly meetings of the Board and our Executive Committee as well as meetings of committees related to the responsibilities listed above (for example, the Security Committee). Please visit me to discuss anything and everything about what Temple Beth Israel does.